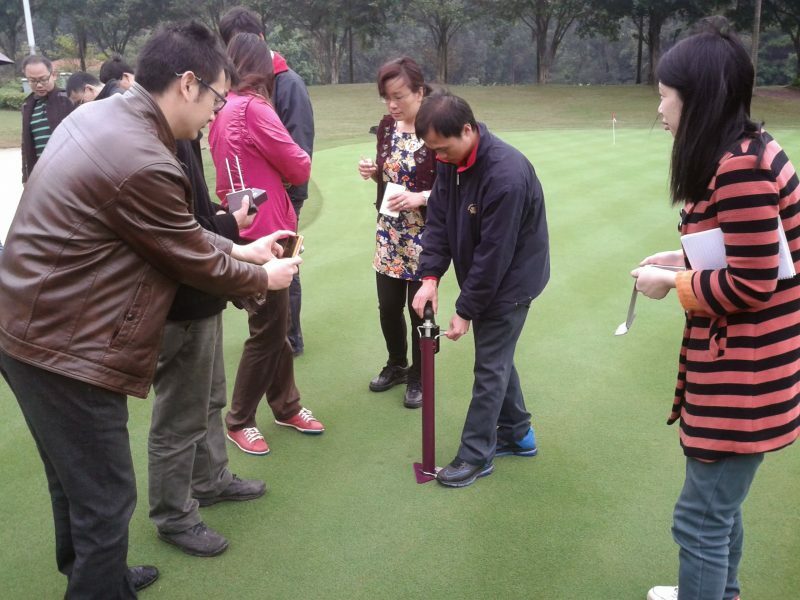 Managing Green Playing Performance Chinese Style. Back at the beginning of the month I announced that I would be releasing a new ebook dealing with the evaluation and measurement of bowling green performance called the Tyre Lever and the Golf Ball. You might have noticed that I have updated the post about the ebook to say that it will now be available on the site on 28th November instead of the earlier date I first promised; let me explain. In this new book I will reveal how we bowling greenkeepers can adopt some of the methods being used by the golf industry in order to make green performance management more objective and replicable. To do that I will explain a few tricks currently being employed in the golf world and describe some of the hi tech (and expensive) equipment being used to perform those tricks. Ultimately, the book’s purpose will be to describe a series of tests and measurements that can be used to help us decide what maintenance work needs to be done to keep the green on a trajectory towards greater and more consistent performance, without blowing the budget on consultants and measurement equipment, hence the title. Now the reason for the delay in bringing you this book. When I first wrote the bulk of the content and made the original announcement on the site, I wasn’t aware that a project was about to come in that would let me add a lot more detail and real world findings to the book’s content. So I’m writing this update at Schiphol Airport, Amsterdam on my way to Hainan in China where I am about to undertake two weeks of teaching on this very subject with two groups of Chinese students who are studying an HND in Golf Course Management. Over the next two weeks I will make regular updates on the subject of Green Playing Performance with live findings and anecdotes from my classes in China and the updated book will be released on the site on 28th November. Meantime if you have any questions about any aspect of greenkeeping or club management it’s business as usual so just ask any questions using the Help link, via the contact form or leave a comment on any of the articles that interest you.